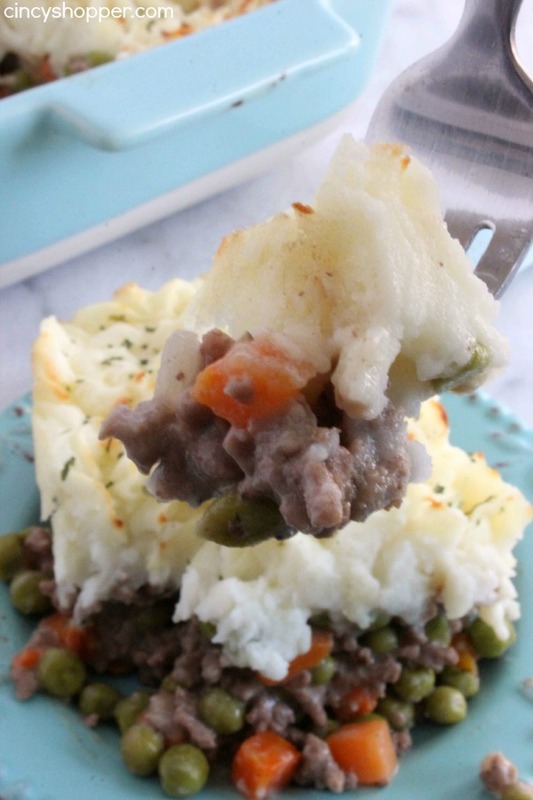 This Easy Shepherd’s Pie Recipe is super simple and is comfort food at it’s finest. 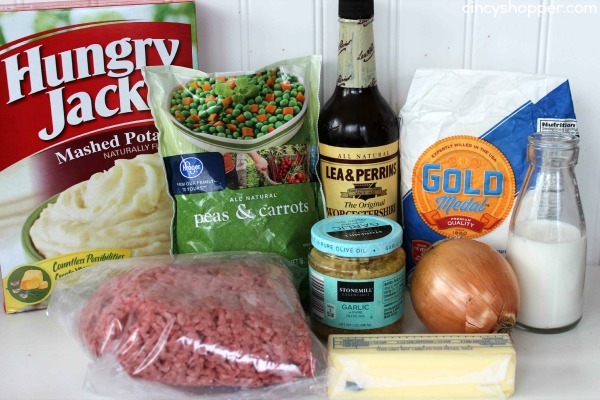 This casserole is loaded up with ground beef, onions, garlic, vegetables and topped with mashed potatoes. 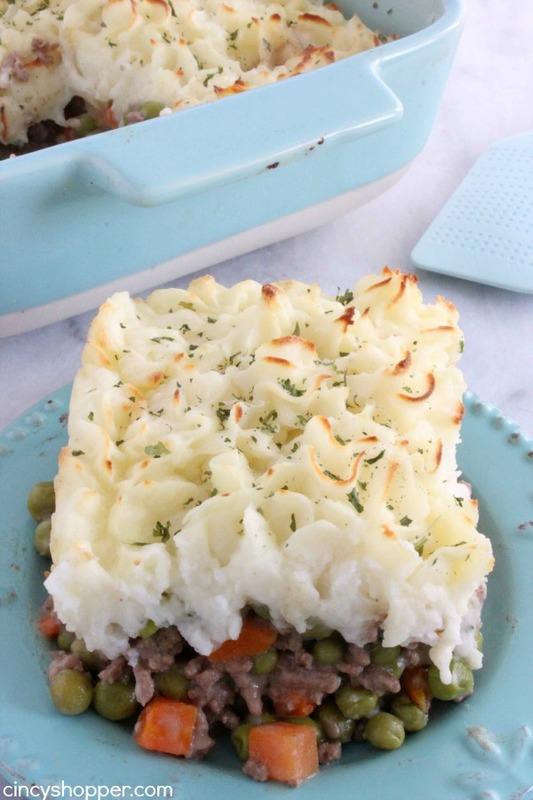 Shepherd’s pie is one of those dishes from my childhood that has stuck with me. 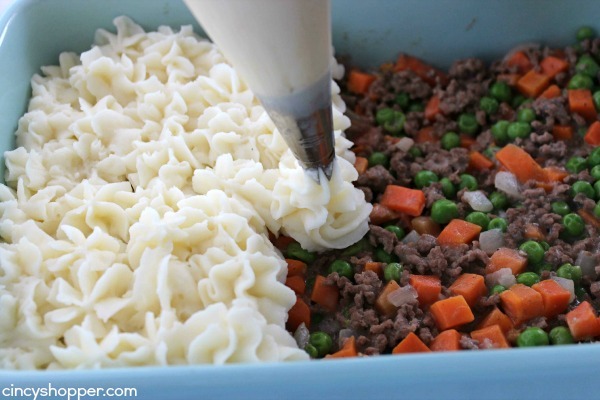 Over the years this casserole dish has been made so many times. 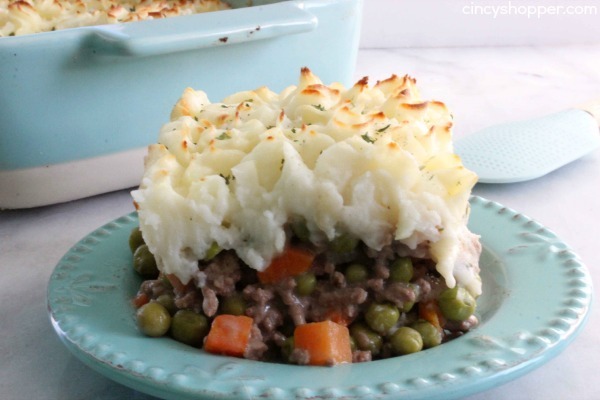 During the winter every time I have ground beef that I am needing to use in a dish the whole family requests shepherd’s pie. They even quite often ask for me to make it in the summer, ha ha. 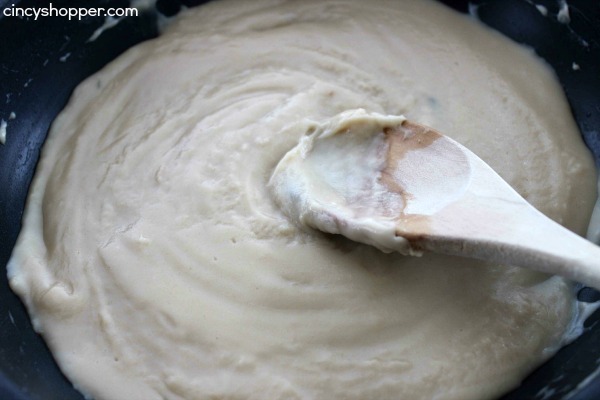 The recipe is so simple and basic, I think that’s why I do not mind making it so often. 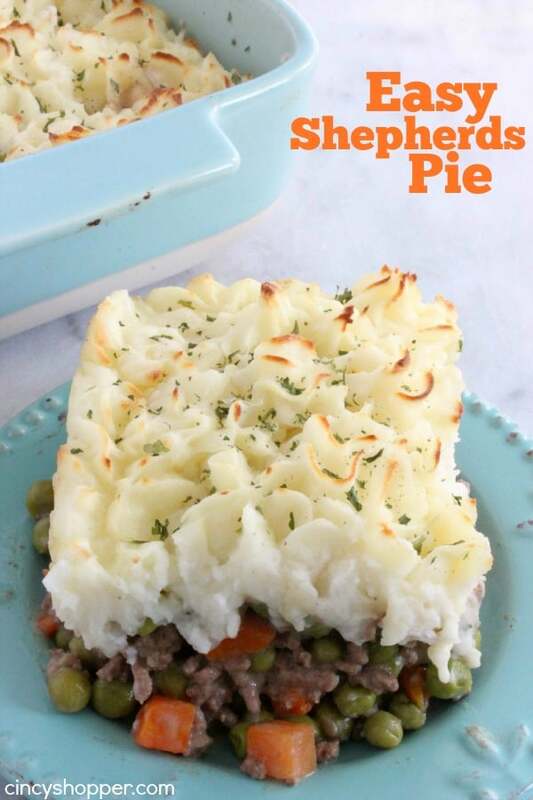 I have made them our Mini Shepherd’s Pies a few times. 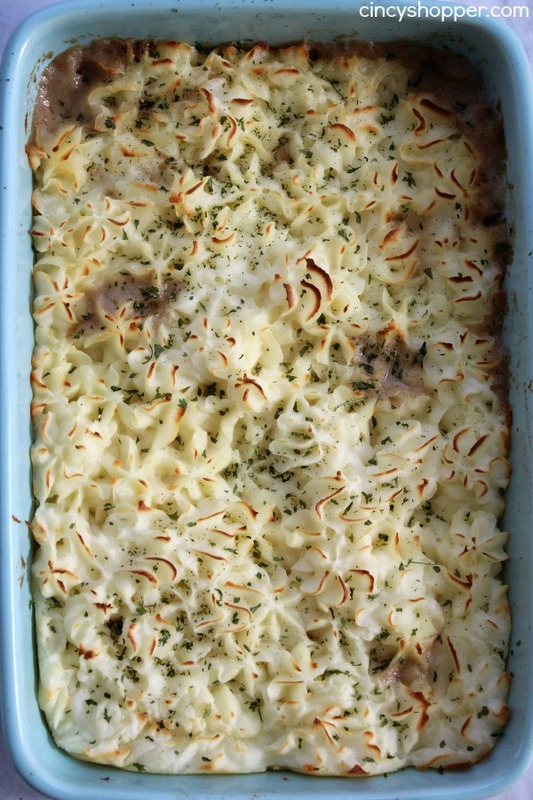 I like how simple they are but, I like that I can feed my entire family with one large casserole dish with this recipe. When the budget is tight this Shepherd’s Pie Recipe can be a money saving meal. 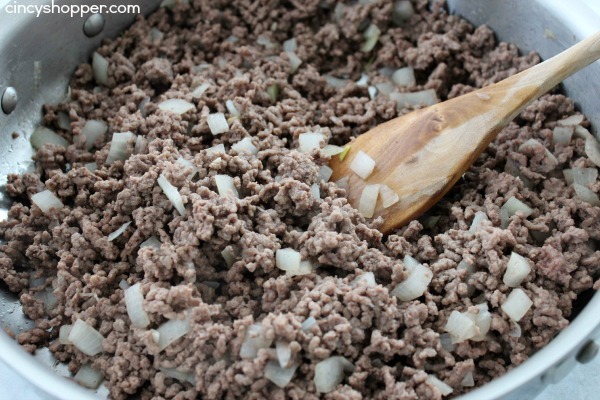 I can add in what veggies and however much ground beef I have on hand. Plus if I am using Instant Potatoes they are always so cheap when using coupons combined with a sale. I will quite often use fresh veggies and homemade potatoes when I have time. This specific recipe is made with frozen veggies and instant potatoes. I actually prefer it with the instant potatoes (hubby likes the real stuff, ha ha). My mother in law and I were just talking about making Shepherd’s Pie last week. such a classic. Thanks for sharing on the #HomeMattersParty . I hope you will join us again next week. Made this today! And it’s absolutely delicious! 5)-!&: for posting the recipe. I made this for dinner, but used peas only because my husband doesn’t like carrots. Family loved it! I will be making it again. 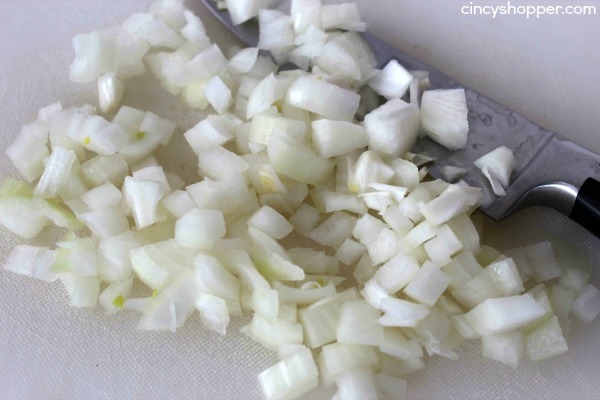 Would be nice if there was a measurement for the onion instead of quantity since there are different size onions. Also a pan size would be helpful also. how many did this recipe serve? Hi Terri! This one filled the 6 in my family. I serve bread and applesauce on the side when we make this one. What do you mean by gravey?? Just put this together, waiting for the oven to do it’s magic! Added mushrooms and diced potato in the mix…hoping for deliciousness!! Can this be made ahead of time? Say make Sunday and pop into oven Monday for supper? Hi Elliea! I used one around 8X11 in size.